"At the old beefsteaks they almost always had storytellers, men who would entertain with stories in Irish and German dialect. And when the people got tired of eating and drinking, they would harmonize. You could hear them from blocks away." What is the Beefsteak experience? 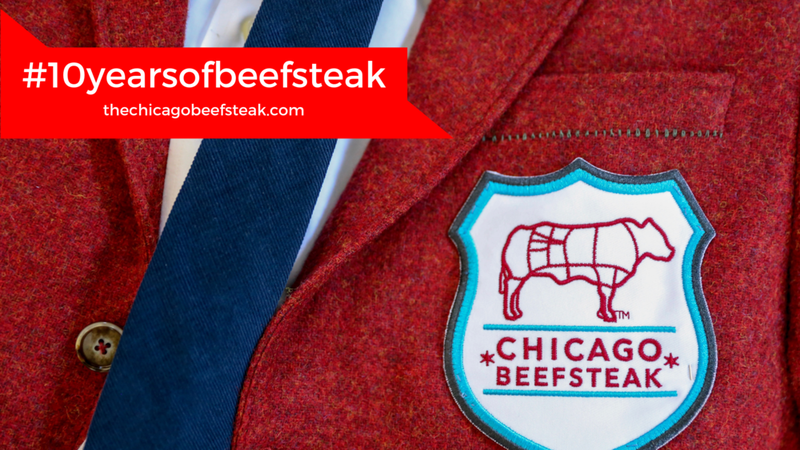 Watch below as The Chicago Beefsteak founders Jamie, Anthony and Nate unpack the details behind this incredible event. 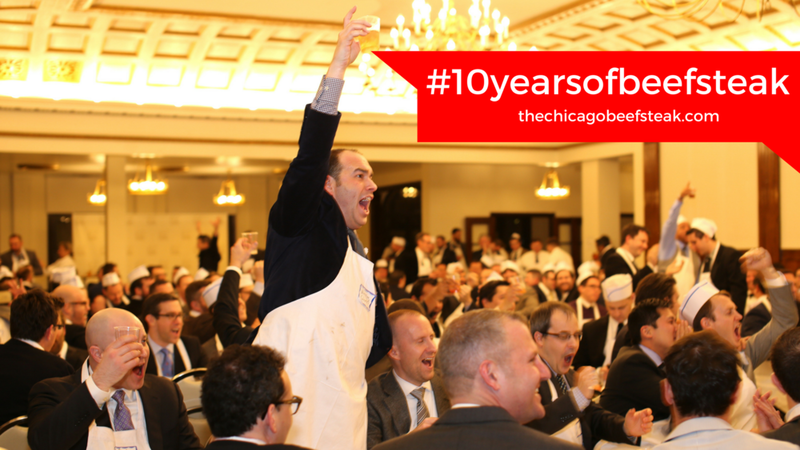 Follow along below as we celebrate the first 10 years of The Chicago Beefsteak. When asked if the burners from the 1960’s gas stove in the corner suite at the Belden Stratford would be hot enough to serve eight guests, inaugural butcher Jack Kennedy confidently responded, “I only need them hot enough to scare the meat”... The first Beefsteak was a humble affair, a mere gathering of aspirational men looking for something out of the ordinary. Who knew this would begin a tradition like no other. The evening’s menu came to a crescendo with the final serving of top sirloin and chants of “For He’s a Jolly Good Fellow” reverberating through the hallways of the Skyline Lounge in the Beefsteak's new Lincoln Square home. The event had quickly become an experience like no other. “Do you… Wagyu!?! ?”, Chef Martin ignited the 2012 Beefsteak with his infamous introductions to each line of the menu. The butcher became the hero of the evening, the only person with the power to silence a room full of hungry carnivores. An experience like no other. Our humble event has grown in size but has never compromised its character. 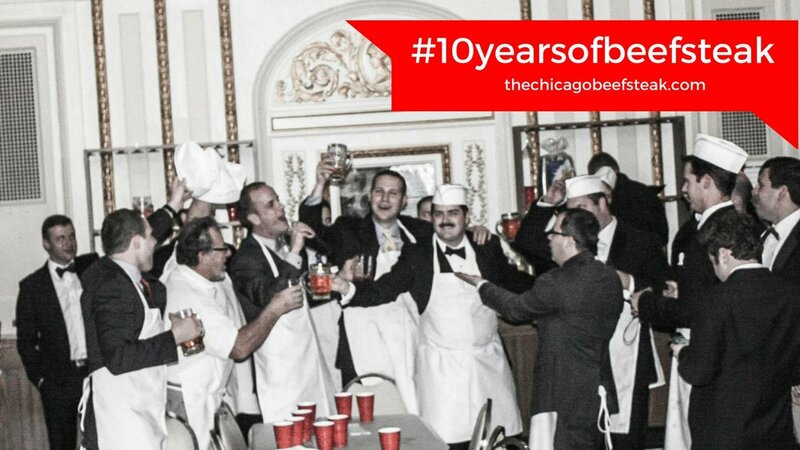 A chance to connect, celebrate, and indulge, The Chicago Beefsteak has grown to attract an incredible following across the US. 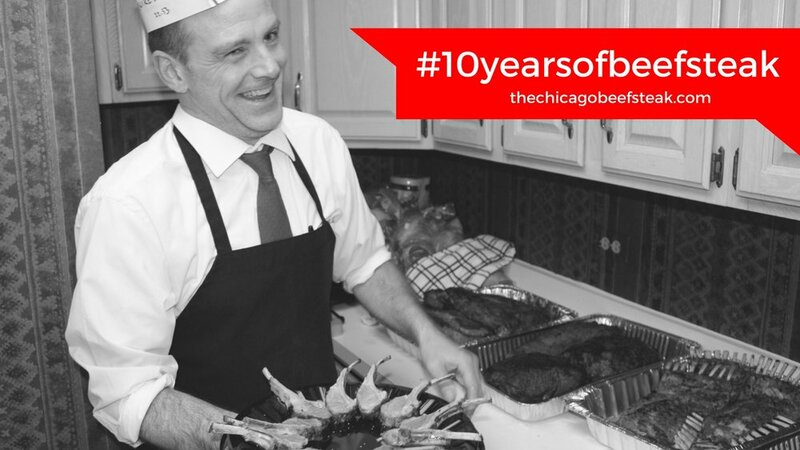 In an honorary sign of appreciation for those who transcend our yearly ritual, in 2017 we introduced The Chicago Beefsteak Hall of Fame for our most distinguished and loyal Beefsteakers. These storied carnivores receive a custom jacked with the coveted Beefsteak insignia.